Follow along here as we share each step of our endorsement process. We will update this post from now until we announce our endorsements in June. The full committee met again to share progress on question development and learn how to make rubrics that will allow them to score how well question responses align with our platform. Subcommittees finalized questions and started to build the rubrics. 19 people applied to be on the committee and we invited all of them to join. One person was not able to commit to the meetings and so declined to participate in the committee. Committee members: Alex Ramel, Alicia Rule, Amanda Zimmerman, Colleen Harper, Darlene Giblin, Debbi Anderson-Frey, Eddy Ury, Jennifer Wright, Kris Lytton, Krystal Rodriguez, Lisa Van Doren, Loretta Sheldon, Maggie Davis-Bower, Margie Overhauser, Mehar Singh, Misty Manherz, Rosalinda Guillen, Sarabeth Bede, Stephanie Allen, and Stephanie McDonald. The committee met for the first time to get to know each other, learn some background of Riveters Collective and learn why we make endorsements, discuss the races and decide which races we can cover, decide who will work on which races, discuss writing questions and using rubrics to rate answers against the Riveters Collective platform, and learn about the online collaboration tools we use to work. The committee divided into subcommittees working on Blaine and Lynden races, Ferndale races, Bellingham races, and Whatcom County races. The subcommittees worked to research positions and draft questions based on our platform for the written questionnaires and interviews. 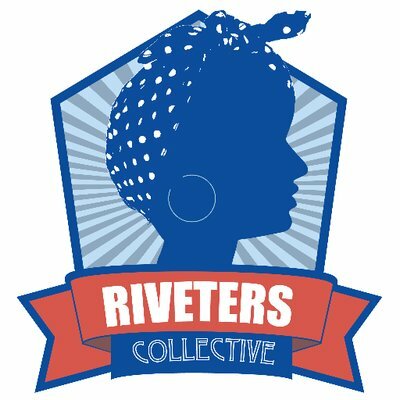 We asked Riveters Collective board members and endorsement committee veterans Debbi Anderson-Frey and Lisa Van Doren to chair the committee. We also invited Alicia Rule from Blaine to co-chair to help us expand our endorsement capacity to the smaller cities. We asked for input to help plan which races we should endorse include in our endorsements. -Live in Whatcom, Skagit, or San Juan county. -Work collaboratively with positive intent to identify candidates who align with the RC platform. -Commit to attending meetings and communicating with the committee March-early June. -Commit to making time outside of meetings for question development, editing, response review and scoring, and communication with the committee. -Anyone who is an officer, committee member, or employee of a political party, or who is already working on a campaign for which we plan to endorse is not eligible for the endorsement committee. Committee members will refrain from involvement in campaigns until endorsements are made in early June.